After the problems with had last week with our source control we now have some basic feature implemented in the game. 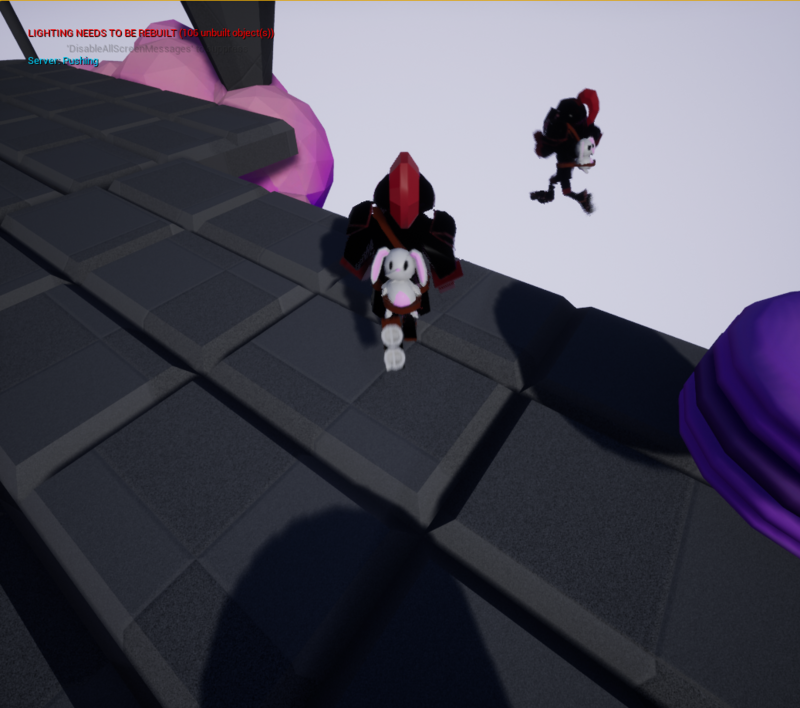 On the Programming side, we implemented basic player movement with a temporary third person camera. 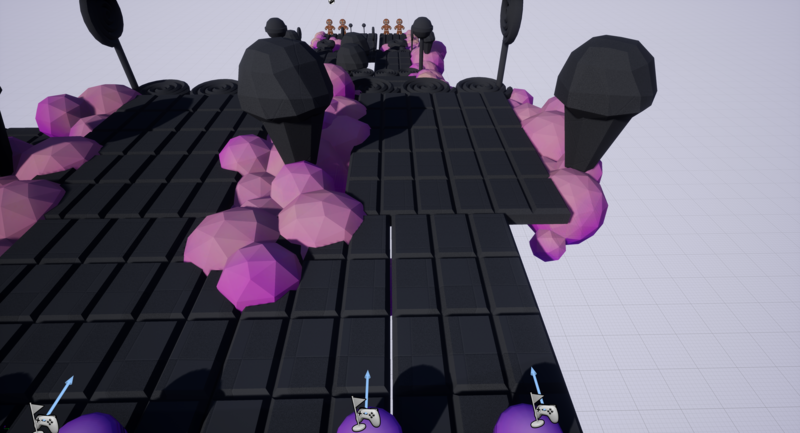 All movement is controller by a controller so that support is also implemented. We added a lot of basic c++ classes to make future development of more specific features easier to implement. The camera that will follow the players is still in development and is not In this build. One of the features we did implement was a push mechanic that lets you push nearby players around if you are close enough to them. Have fun knocking your friends of the map! On the art side lots has happened. 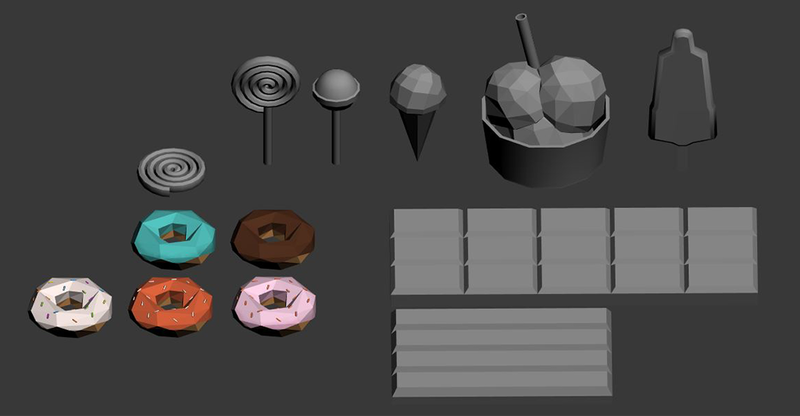 The first environmental props were added, these look like different kinds of candy. Something any person, child or adult, would love to get a taste of. 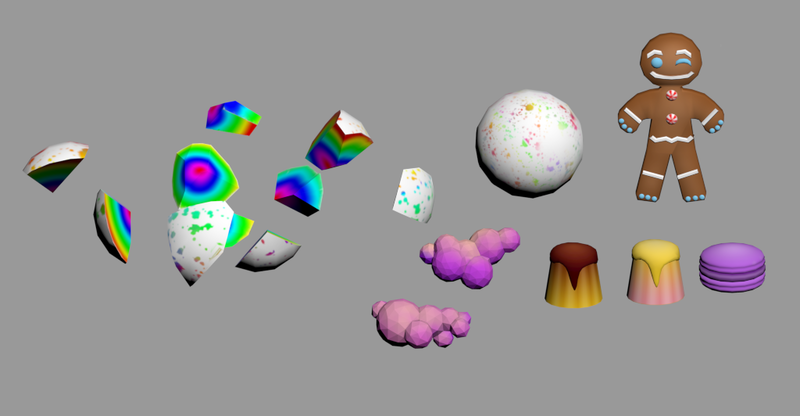 The current textures will be polished in a later stage so they become real eyecandy. 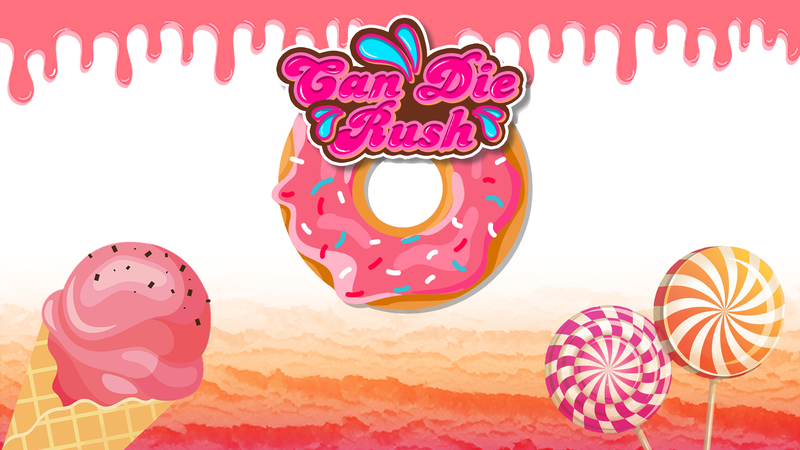 We also added a basic level in which to test mechanics. By next week we hope to show you our second playable character!!! 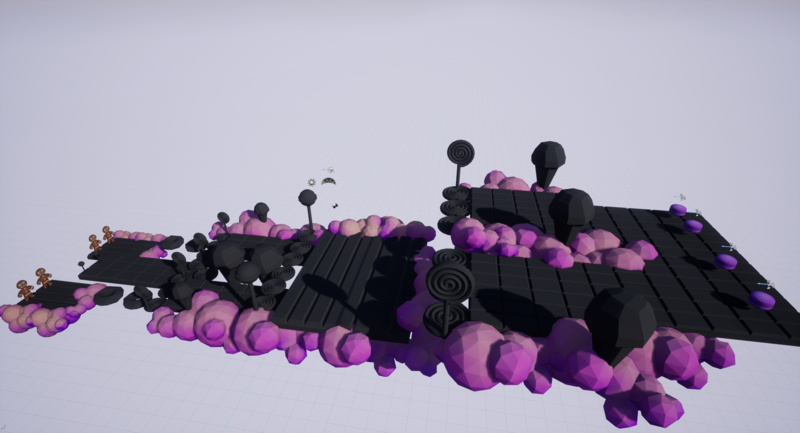 We also want to add some more basic props and maybe expand our level a bit. On the Programming side we want to finish our camera, improve our movement and push mechanic and have the basic implementation of the building mechanics.